Watch on YouTube This is a 27" x 39" Polish poster designed by Andrzej Pagowski for the 1983 Andrzej Wajda French/Polish/German film Danton based on the 1929 play The Danton Case by Stanisława Przybyszewska, screenplay by Jean-Claude Carrière and starring Gérard Depardieu as Georges Danton. Plot summary: In 1794 with the French revolution at its peak there is an intractable dispute between two old friends, revolutionary leader Maximilien Robespierre [Wojciech Pszoniak] and newspaper publisher Georges Danton, who is trying to use his considerable public influence to put a stop to the violence of The Terror. In a political trial, a reluctant Robespierre eventually has Danton declared an enemy of the state and sent to the guillotine. This item is available for immediate shipment. 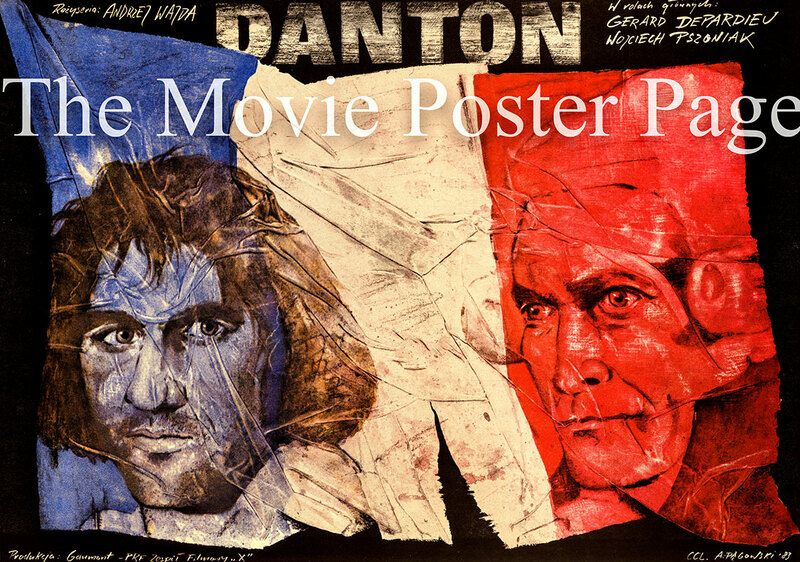 It is variously known to the public as a Danton poster, a Danton film poster and a Danton movie poster.